If you want a low-impact exercise which has you enjoy and reap health benefits, walking is the way to go! Not only does it have you stay fit and healthy, you’re able to lose weight if you do it right. All that without the strenuous pressure on your body, ensuring that you burn calories without the pain or discomfort. Walking outside does help in maintaining the fun and enjoyment of the exercise, but what if the hot weather comes? It’s quite difficult to walk under the heat, which is why I did the research and tests to stay cool while walking outside! So read on as I show you the ten essential tips for walking in the summer. 1.2 2. Hydrate, Hydrate, Hydrate! 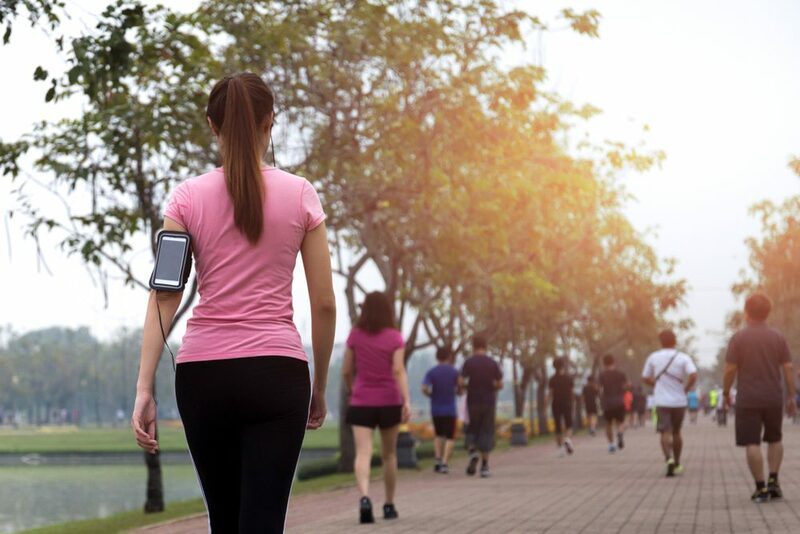 While you might think walking during the hot afternoon can help with calorie burn, that’s not the case! Remember that more perspiration doesn’t equate to weight loss, as sweat maintains temperature and doesn’t burn fat. With that being said, you need to avoid walking between 12NN until 3 PM, which is the hottest time of the day. It’s best to begin your walks during the coolest time of a summer, which is preferably the morning or night. For me, I prefer mornings because it’s cool and a great way to start the day. Plus, studies show morning workouts are much more effective for weight loss AND health. This is important for all types of exercise regardless of the intensity and weather, but much more crucial for summer days. Your body loses more water than usual during the summer, so you have to ensure that you’re ready to replenish the water loss. Have a jug of water with you throughout your entire walk, or sports drinks if you prefer it. You don’t need to wait until you’re thirsty to drink water, rather, drink small mouthfuls before, during, and after your walk. Avoid overdrinking as well and drink water normally 45 minutes after your walk. You might want to add a pinch of salt to make up for the mineral loss due to the perspiration. What should you wear during your walks? Obviously, it’s time to lighten what you wear to avoid heat strokes and stuffiness. Make sure that you wear the loose-fitting and lightweight clothing in light colors. These types of clothes would reflect sunlight rather than absorb it, which keep you cooler. Furthermore, pale and light colors don’t attract as many bugs (though you should avoid using scented detergent or deodorant to reduce that problem, too). Wear clothes dedicated to workouts, and the right walking shoes made of light and breathable fabrics. This keeps your feet supported, also lessening the sweat and stuffy, hot feel while you walk. Don’t forget to protect your bare skin and eyes, as the sunlight can really affect your sight and skin health. If the day is particularly bright and sunny, wear a hat and sunglasses to avoid straining your eyes and bending your neck down. You’ll be able to focus more on the walk than the bright light! Protect your skin with adequate sunscreen and bug spray or lotion. Prevent those pesky bug bites and bad burns from happening, which will also lessen the risk of various skin conditions, rashes, or sicknesses from these burns and bites. I also recommend you get water-based lotions or sprays to stay cool! Sometimes, the heat can get so intense that you’re unable to go out at all! If ever the weather doesn’t permit you to go out, then I highly recommend that you either skip today’s walk until the weather is more bearable or that you walk indoors. Fortunately, there are many videos online all about how you can walk as exercise in the comforts of your own home! Consider these videos and amping up your activity level at home as exercise. Or, you can also head on to your local gym and use the treadmill during the days it’s too hot to walk under the sun. There will be times you won’t be able to take it when walking under the sun. Your body might even feel like giving up mid walk because of the heat, despite staying hydrated. While you might want to keep going to the finish line, this isn’t a sign of weakness and that you should push through it, though! If you ever feel or experience cramps, lightheadedness, nausea, or any signs of sicknesses, then it’s best to take a water break. Replenish with sports drinks and continue, or stop the walk completely to give time to rest. I’ll talk about the symptoms and what to do in case of heat illnesses in the next sections. Walking under the hot summer sun is different compared to walking during any other normal, cloudy day. It can mess with your usual performance, but again, it’s no sign of weakness! 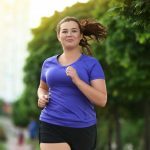 It’s recommended that you begin your walk slowly and increase your intensity throughout the walk to prevent getting exhausted and heated up sooner than expected. Furthermore, if you’re not used to walking under the sun at all, then it’s best to make that transition from treadmill to trail slow, too. 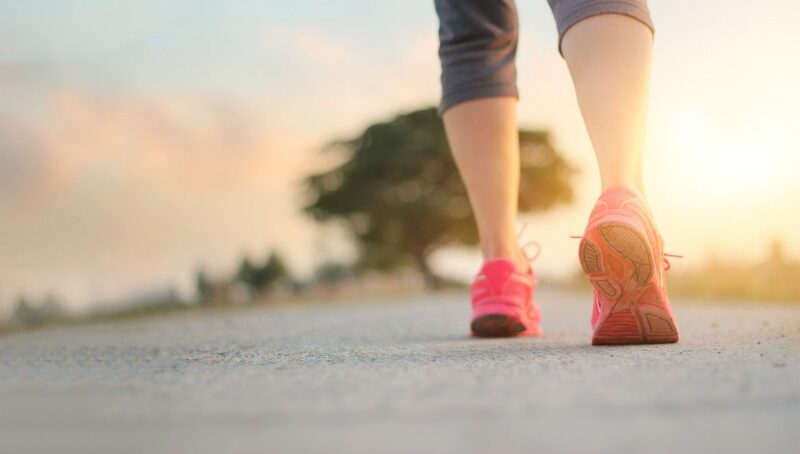 Go for one day walking outside and the rest on the treadmill, then work your way up every one or two weeks until you’re able to walk outside every day. Just like any exercise, you must warm up and cool down! This helps stretch your legs and muscles, preventing pain while promoting muscle recovery after your workout. 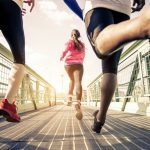 Plus, it readies your body for the walking workout ahead, so make sure you allow at least five to ten minutes of quality stretching before and after your walk. This doesn’t just go for walking during summer days, but in all exercises and types of weather, too. You might also want to consider strength and bodyweight workouts to further your strength and stamina for a better, healthier body for the long run. It’s vital to plan your walking route, especially during the harsh summer or winter weathers! For hot summer days, plan your route where there is the most shade, choosing to walk under shades, near trees, as well as near breezy bodies of water. A walk in the park is the best as all the trees and plants can help you keep cool and away from direct sunlight, protecting your body inside and out. Have a consistent schedule and route to follow, depending on the temperature and sun’s intensity on that particular day or week. This can prevent discomfort and illness well. If you experience any of these, stop immediately or you might just pass out, which leads to dire consequences. For those who might experience these, make sure you stop, stay in a shaded area, preferably with a fan or A/C, and elevate your legs for better blood circulation. Drink water immediately and pour cold water on your skin, which cools down your body if you’ve become dangerously hot. If symptoms persist, seek medical attention immediately. 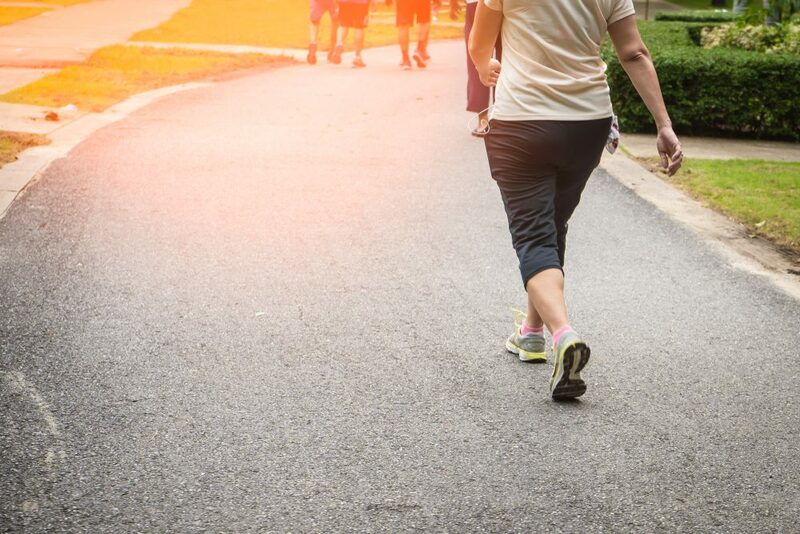 Walking has its excellent health benefits, especially when you break a sweat and start going all out by your neighborhood. 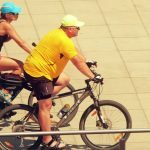 But staying cool can get quite difficult during the hot summer day, which is why it’s important to know how to keep fresh as you exercise. That way, you’re at less of a risk from heat strokes and the like. 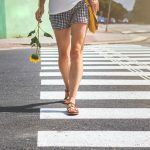 I hope that this article on the ten essential tips for walking in the summer helped you! So don’t wait any longer and look into any of these tips now. If you want to share your tips and experiences on walking in the summer, then comment below. Your thoughts are much appreciated.